Alfred W. Sims entered railway service in 1847 and spent many years in engineering and construction roles. He left the position of Superintendent of the Toronto & Nippissing Railroad, a Canadian narrow gauge, to become the chief engineer in charge of the construction of the East Broad Top. Sims stayed on with the EBT as Superintendent and later General Manager until his death. He also served for a time as General Superintendent of the Rockhill Iron & Coal Co. 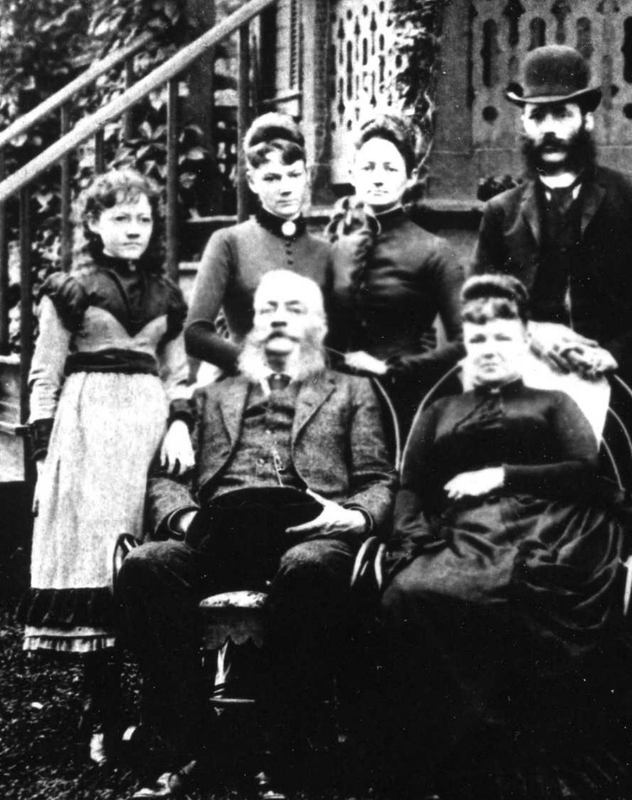 In addition to Sims himself, seated with his wife, the family group above includes his son Harry, who succeeded his father as RI&C manager, and his youngest daughter, Addie, for whom an R&IC yard dinky was named. Sims?impact on the early EBT was enormous. He supervised the final surveys and the construction of the narrow gauge, and established the railroad as a going concern, if not always a profitable one. As RI&C General Superintendent, he managed the iron operation during its period of greatest expansion and guided the extension of the narrow gauge to the east in search of furnace ore. 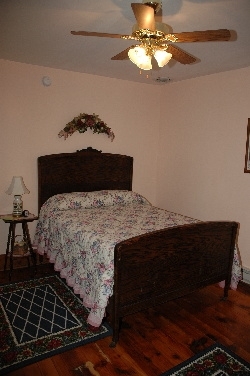 The "Admiral Sims" room features an antique oak bed and private bath. Original pine floors and woodwork finish the room.